The third side of the O.Z.O. 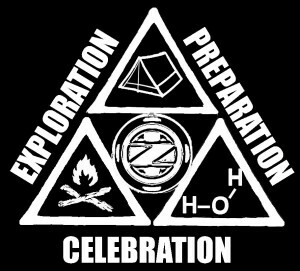 survival triangle is celebration. Outer Zone Overnight(TM) is not just all scouting, events, programs, and classes. We work hard, we play hard. It is really that simple. The simple life is a good life. At the end of every journey of survival is celebration of the accomplishment. 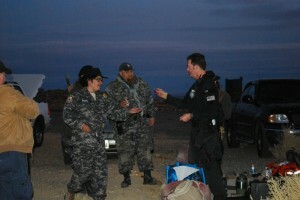 Sometimes it is a simple dinner at some out of the way outpost near a fire made from nothing. Sometimes it is a drink on a mountaintop overlooking what has been conquered. Sometimes it is a swim in a pool of fresh spring water at the bottom of a treacherous five mile hike. Sometimes it is an all out party with D.J.s or band entertainment and other performers after a base camp is erected from nothing where no life could otherwise exist. Celebration is key. Without celebration of our accomplishments, there is no point to survival. Celebration maintains the spirit, which is essential to the survival mindset.